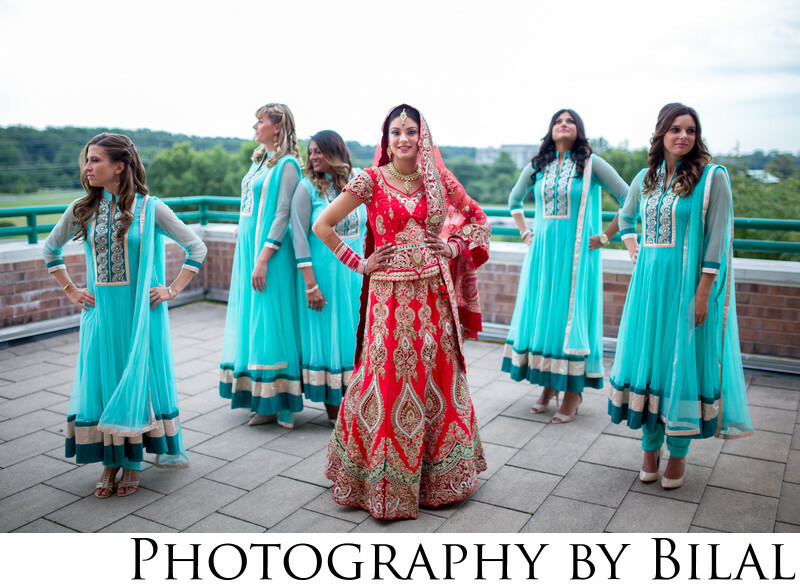 This beautiful image of the bride and her bridesmaids was captured at Sahil & Ishneet's Sikh Wedding in Princeton, NJ. I love to incorporate my style of modern imagery into the bridesmaids photos. We got lucky with this shot because the clouds would come and go, as soon as I set them up we got clouds so I immediately pressed the shutter. With the sun, I would have gotten different results which wouldn't have been so pleasant.